A parliamentary report of 1777 recorded parish workhouses in operation in Yeovil (for up to 60 inmates) and South Petherton (40 inmates). A house in Chiselborough was once the parish poorhouse. Somerset: Ashington, Barwick, Brinton, Chilthorne Domer, Chilton Canteloe, Chiselborough, Closworth, East Chinnock, East Coker (2), Hardington Mandeville, Haselbury Plucknett, Ilchester or Ivelchester(2), Limington, Lufton, Martock (3), Middle Chinnock, Monatacute (2), Mudford, Northover, North Perrot, Norton under Hamdon, Odcombe, Pendomer, Preston, Pudimore Milton, Stoke under Hamdon (2), South Petherton (3), Sutton Bingham, Thorne Coffin, Tintenhull, West Camel, West Chinnock, West Coker (2), Yeovil (4), Yeovilton. The population falling within the union at the 1831 census had been 25,581 with parishes ranging in size from Lufton (population 20) to Yeovil itself (5,921). The average annual poor-rate expenditure for the period 1833-35 had been £9,258 or 7s.3d. per head of the population. 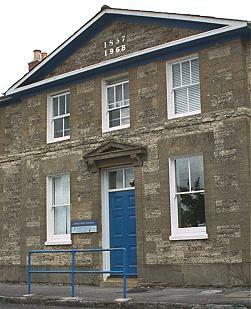 Yeovil Union workhouse was built in 1837 at the north side of Preston Road in Yeovil. The architect was Sampson Kempthorne and adopted his model hexagonal plan which he also employed for the workhouse at the nearby Taunton union. The location and layout of the Yeovil workhouse are shown on the 1929 map below by which time it was known as the Yeovil Poor Law Institution. A two-storey entrance block at the south contained a porter's room on the ground floor, with the Guardians' board room above. To the rear, three wings for the various classes of inmate (male/female, infirm/able-bodied) radiated from a central hub. The hub had kitchens on the ground floor and the master's quarters above. Windows in the hub provided views in each direction over the segregated inmates' yards. A hospital of unknown date was erected at the north of the workhouse. The workhouse later became Summerlands Hospital. Only the entrance block now remains. 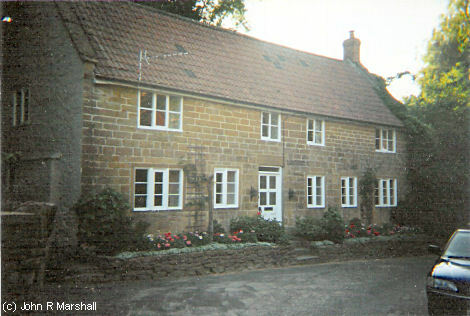 In around 1914, the Yeovil Union established a children's cottage home at Rosebery Avenue, Yeovil. In 1924, the home could house 14 children and the superintendent was S.E. Holton. Somerset Heritage Centre, Brunel Way, Langford Mead, Norton Fitzwarren, Taunton TA2 6SF. Many records survive including: Admissions and discharges (1836-1930); Creed register (1869-1930); Births and deaths (1836-1914); Indoor relief lists (1837-1930); Punishment book (1873-1941); Board of Guardians' minutes (1836-1930); etc.